This event was held by the American Red Cross Association. The Apparel Design & Technology major at Purdue University participated in this event. 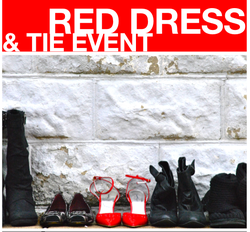 Several designers including myself made red garments to support the fundraiser. 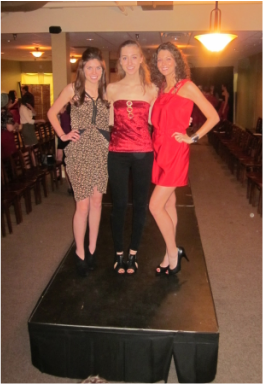 Lindsey Atkinson and Carly Derheimer and I modeled Elena Victoria 2011 designs on the runway. Lindsey wore a red dress with braided straps and Carly wore a floral cut out dress with exposed zipper straps. I wore an open back velvet top with jewel embellishments.